Are you planning a kitchen makeover in the near future? Some of the best kitchen designs have granite kitchen countertops. Granite countertops are popular with homeowners because of their natural beauty and minimal maintenance. Keep reading to learn why more and more homeowners are installing granite countertops in their homes. For more information on granite countertop installation, our home remodelers at Visionary Cabinetry & Design recommend you contact a kitchen remodeling contractor in your area. According to HGTV, minor kitchen remodels (like granite countertop installation) offer a return on investment of approximately 92.9%. 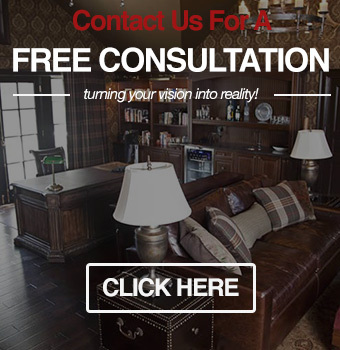 To determine if granite countertops are the best kitchen remodel for your money, we recommend that you contact a knowledgeable remodeling contractor near you. Replacing kitchen countertops can help improve the look of your home for years to come. If you are looking for a countertop material that has a uniform look, you should steer clear of granite. However, for homeowners looking for a countertop surface design that’s completely unique to their home, granite can be a great material. All granite slabs are unique. Granite comes in many different colors to fit your design preferences and the interior design of your home. 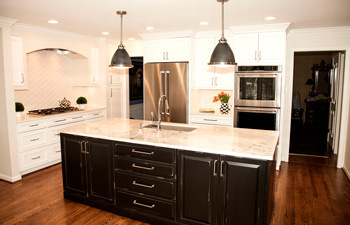 For example, black granite countertops give your kitchen a touch of sophistication and luxury. For help finding the perfect granite countertops for your kitchen, our countertop installation contractors at Visionary Cabinetry & Design recommend that you consult with a reputable kitchen contractor. Granite countertops are resistant against bacterial contamination. This means that you can cook unpasteurized cheese and meat with confidence, knowing that your family is protected from strains of bacteria living on your countertop surfaces. Of course, it’s also important to exercise food safety habits, such as cleaning kitchen countertops that have had contact with raw meat. The Oakland County kitchen contractors at Visionary Cabinetry & Design are dedicated to helping you improve your kitchen design with new countertops. If you are interested in granite countertop installation, give us a call at (248) 850-7178.